How easy would it be to grab your tanning oil right out of the kitchen cupboard? Temptingly easy. But is olive oil good for tanning or is it just one of those wishful beauty myths? I’ve wondered about this a lot myself, so I’ve investigated the matter for us. Olive oil or coconut oil for tanning? 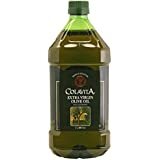 Is it safe to use olive oil for a darker tan? What about olive oil to remove your tan? Read on for all the answers. Does Olive Oil Work for Tanning? The short answer is yes. Oil attracts and concentrates UV rays onto the skin, triggering melanocytes to produce more melanin. The more melanin, the deeper the tan. Technically, you could use any old oil to attract and concentrate UV rays, but some oils have more added benefits than others. Why Use Olive Oil for Tanning? Olive oil isn’t necessarily better for the tanning process than other oils, but it does care for the skin. The antibacterial and nourishing properties of olive oil provide extra benefits aside from a rich golden hue. Olive oil is a skin-friendly oil as it contains antioxidants including Vitamin E and polyphenols which help to keep the skin moisturized and protected from signs of aging. Olive Oil or Coconut for Tanning? Coconut oil has exploded into superfood hall-of-fame territory over the past few years. People swear by it as an economical moisturizer and antibacterial scrub for their face. But what’s better – olive oil or coconut oil for tanning? The answer comes down to what you prefer and what you have available. One of the benefits of coconut oil opposed to olive oil is coconut oil is colorless. You decrease your risk of staining clothing and furniture when using coconut oil. Another “pro” for coconut oil is that it’s often solidified (unless your cupboard is very warm). This means that you can scoop out a portion of oil and control it as you melt it into the skin. Runny olive oil requires a little more care when applying. Both coconut oil and olive oil boost your chance at a deep tan. However, coconut oil provides slightly better hydration and more antibacterial benefits than olive oil. Make sure you find a skin-friendly coconut oil, as not all oils are created equal. 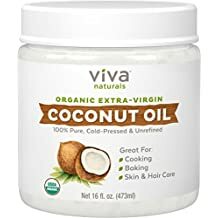 A pure, organic, extra-virgin coconut oil is far better than a stock-standard cooking-grade coconut oil. The verdict? Decide what your needs are. Simply want a deeper tan and added antioxidants without extra cost? Go for olive oil. Need some extra hydration and antibacterial protection as you deepen your tan? Try coconut oil. If you’ve gone overboard in the sun, in the tanning bed or with the fake tan, olive oil is a great ingredient to use for quick removal. By mixing olive oil with a gentle abrasive ingredient such as oats or sugar, you can slough extra tan off the skin. Olive oil both softens the skin and corrodes excess product, without turning into a pore-clogging mess. A grainy substance such as oats or sugar will physically shift the tan as the oil provides enough “slick” to wipe it away. Mix together enough olive oil and sugar to create a thick paste. Rub the mixture onto the skin you wish to de-tan and gently massage it into the skin. Use a dab more olive oil to remove the paste and moisturize the freshly exfoliated skin. Don’t believe anything you read which tells you that olive oil will protect your skin from UV damage. It won’t. Yes, the antioxidants and vitamin E in olive oil can help the skin to heal after sun damage, but it certainly will not prevent sun damage in the first place. Before wearing olive oil in the sun, ensure you use a sunscreen to protect your skin from being burnt by UV rays. This won’t prevent your skin from tanning, as melanin can still be produced even with the use of sunscreen. For a deeper tan and softer skin, use a good quality extra virgin olive oil next time you have a tanning session. Always pair your olive oil with a high SPF sunscreen to protect yourself against harming UV rays and painful sunburn. If you’re heading to the tanning bed, try using a light layer of olive oil to increase that tan and get more melanin for your buck. There are no hard and fast rules (provided you are being sun-safe). Feel free to play around with different oils such as coconut oil to see which works best for you. Have you used olive oil to make you tan faster or darker? Do you have a great olive oil “before and after” tanning story to share?